Old buildings might have asbestos lining in the structure. Some of it might be in the fences. It was used in the walls and ceilings, too. Due to its popularity as a construction material, it isn’t impossible to find an entire building lined with it as insulation and fire-retardant. 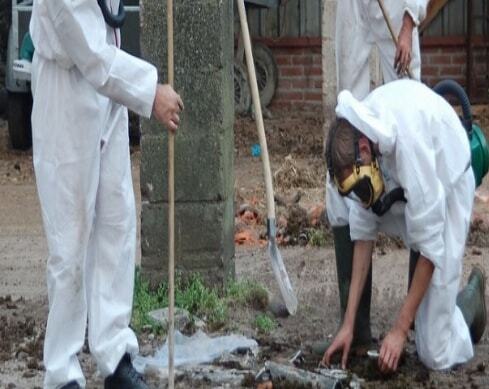 Asbestos Removal Perth WA knows and understands this, so we adapt our removal procedures to fit the scale of your needs. Removing asbestos involves sealing off the area that has asbestos. Doing this is for safety reasons, for both homeowners and workers. In older homes, experience has taught Asbestos Removal Perth WA that it could have the owners relocate because it’s the whole building. The sealing also helps prevent any contamination of clean areas, and can involve the use of duct tape, polyethylene film, and machines with special filters. Asbestos Removal Perth uses a special vacuum cleaner for cleaning up after a job. The design of the device was particular for containing asbestos, removing any chance of stray particles contaminating the area. Our technicians will use it thoroughly on the job and during, so you can rest assured we won’t be leaving anything dangerous behind. An ordinary cleaner lacks the appropriate filters, ending up scattering the particles and causing more problems. If we have to close off an entire building, we also make sure that it’s sealed off from the outside. We don’t want to spread those asbestos particles to the air outside any more than you do! Of course, if you prefer that we don’t cut you off from the whole building, we can make arrangements to work with you on a section-by-section basis. When we’re conducting manual demolition, we make sure to get the asbestos in whole sheets if we can. If the asbestos is intact, we can dispose of it more quickly. It also means that the Asbestos Removal Perth WA team is decreasing the risk of the particles spreading because they’re in chunks and pieces. Equipment is essential when handling asbestos. We make sure that the environments have seals made with the best materials. We also bring the proper bags to contain the removed asbestos, along with safety gear, so we don’t put ourselves at risk. Don’t risk your safety and those of your loved ones one day longer! Call us now and we’ll check out your site and give you a quote, with no obligation from you. We know asbestos removal in Perth can be expensive, but we guarantee we offer you excellent value for your money.